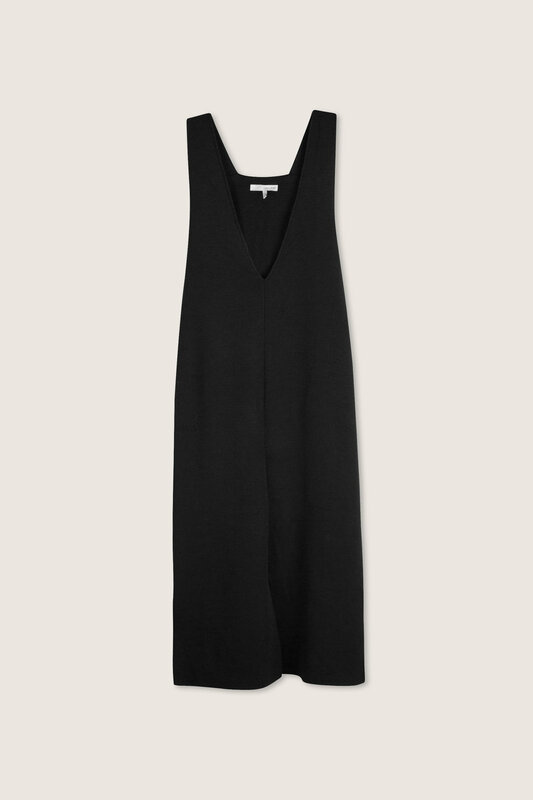 Designed with a minimal aesthetic, this midi dress is cut from a soft and lightweight knit fabric with some light rib texturing. 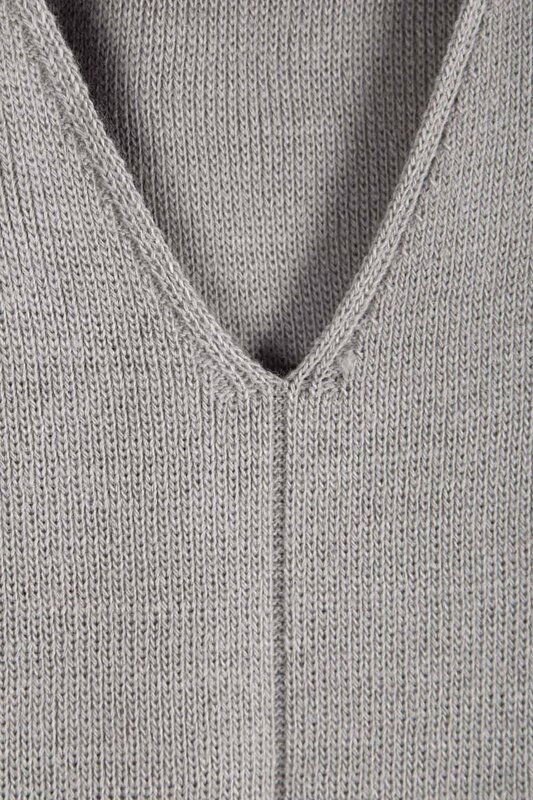 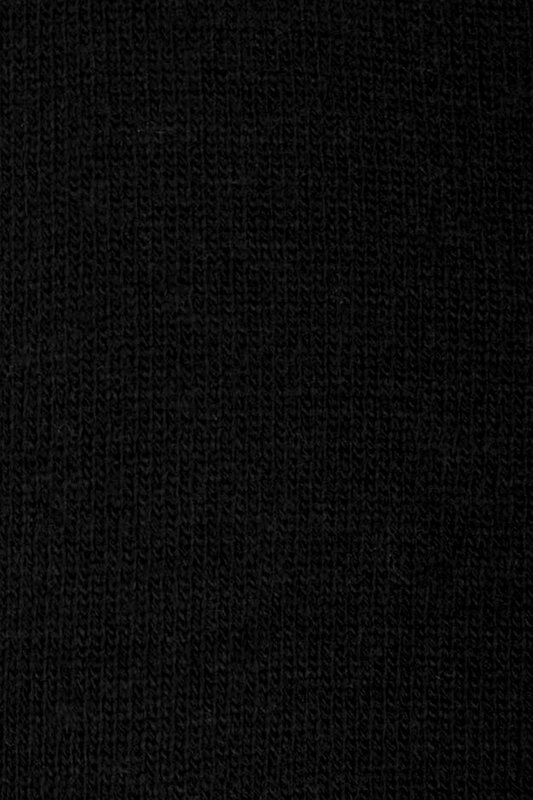 The V-neck meets at a centre stitch that extends down to the hem, revealing a small slit. 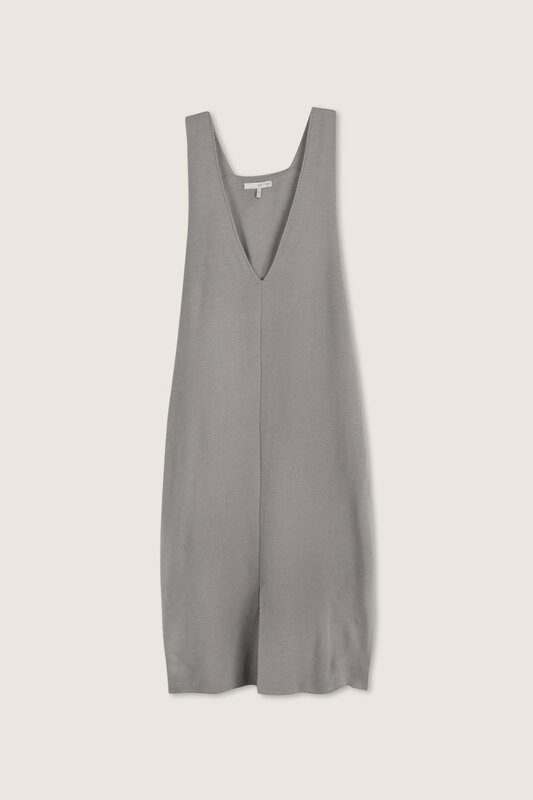 A great layering piece, this dress looks especially chic when layered over a turtleneck or shirt.